Joey Jordison, who is known for his work with Slipknot from 1995 to 2013, has been very prolific since he left his former colleagues. He formed Scar the Martyr, which was disbanded sometime in 2016 and recently formed Vimic and the blackened death metal outfit Sinsaenum, which shows his thirst to experience darker and more extreme music. Sinsaenum’s lineup includes Heimoth (Decrepit Spectre) on bass, Stéphane Buriez (Loudblast) on guitars, Frédéric Leclercq (Dragonforce, Menace) on guitars, bass and keyboards, Sean Zatorsky (Dååth) and Attila Csihar (Mayhem) both on vocal duty and Jordison on drums. 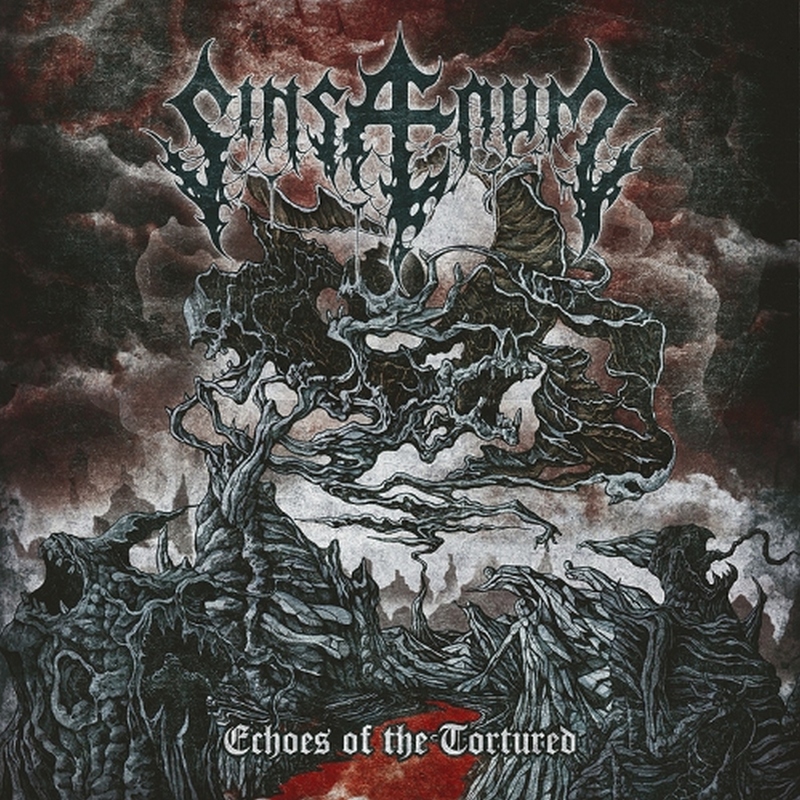 Echoes of the Tortured is Sinsaenum’s debut full-length. The hour long album has 21 songs which includes multiple classical, dark ambient and atmospheric short songs that bridge the longer songs. There are so many of them that they become pointless, adding no serious elements to the structure and the spirit of the album. Sinsaenum have been characterized as blackened death metal. While Zatorsky is singing, the music and feelings around it sounds similar to Dååth. When Csihar takes the mic, the music moves more towards Angelcorpse or Sacramentum with fewer melodic parts, but Echoes of the Tortured does contain some melodic sections. It would have been wise to shorten the length of the album by putting the shorter filler songs aside, which have affected the essence of the album. Echoes of the Tortured is well-written and well-performed, even if it doesn’t break a lot of new musical ground. But its stellar lineup, perfect musicianship, sharp production and homage to classic blackened death metal tunes makes Echoes of the Tortured an enjoyable listen.